Discover the very best of Canada, from the stunning power of the Niagara Falls, to Quebec City – one of North America’s oldest cities. Follow the Icefields Parkway from Banff and Lake Louise, in the heart of the majestic Rockies, and explore the delights of cosmopolitan Toronto and vibrant Vancouver. Dates and prices published on this page are for the departures flying from Aberdeen & Edinburgh only. Flights also available from other UK airports – London Heathrow – click here for more information on available dates and prices. Explore Toronto, this morning, on our optional, guided sightseeing tour. See the glittering waterfront, the sky-piercing CN Tower and colourful, contrasting neighbourhoods like Greektown and Little Italy. Afterwards, indulge in some shopping in the city’s ultra-modern malls, and make the most of the city’s cosmopolitan dining options or perhaps take in a show – Toronto is Canada’s capital of live entertainment. Today’s unforgettable included excursion is to the incredible Niagara Falls, one of the world’s greatest natural wonders. Marvel at the spectacular views on an optional 10-minute helicopter ride, and perhaps enjoy lunch from the viewpoint of an overlooking restaurant. Later, we’ll return to Toronto to spend the evening enjoying its legendary hospitality in one of the many restaurants. Leaving Toronto, we’ll board the coach and journey along Lake Ontario’s northern shoreline, on the ‘Maple Leaf Trail’ that leads past handsome Kingston and north to romantic Ottawa. See its Victorian houses and famous Rideau Canal before continuing to stylish Montreal, for a two-night stay. Enjoy an included full-day trip to historic Quebec City, one of Canada’s oldest settlements. Discover its many charms, including stunning Chateau Frontenac, the city’s ancient ramparts and its UNESCO-listed centre, overlooking the mighty St Lawrence River. An optional walking tour will be available during your time in the city. 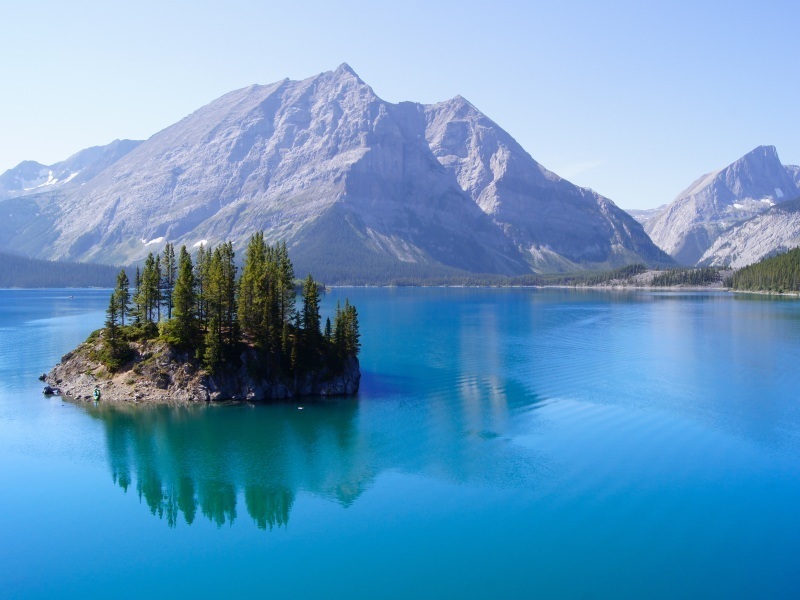 Today you’ll transfer to Montreal Airport to board the flight for the journey across the Prairies and Lakes to the Rockies and exquisite Banff, for a two-night stay. Explore the delightful, bustling capital of the Rockies. Take the opportunity to join an optional Banff sightseeing tour, which includes a cable-car ride to the summit of Sulphur Mountain and a trip to scenic Surprise Corner, a viewpoint overlooking the famous Banff Springs Hotel. You’ll also have the chance to take a helicopter flight across the Rockies for a close-up view of the towering peaks. A memorable days awaits us as we journey firstly to beautiful Lake Louise, where turquoise waters – frozen for much of the year – are set against the awesome backdrop of Victoria Glacier. We’ll then travel along the renowned Icefields Parkway to Jasper, at the gateway to the scenic Jasper National Park. Keep your eye out for the elk, moose and even bears that call this part of Canada home. Our scenic adventure continues, with a drive past majestic Mount Robson – the Rockies’ highest point – to the mountain resort of Sun Peaks, a modern alpine village high in the BC interior. Today we’ll journey west into British Columbia, descending through the coastal ranges to beautiful Vancouver, in its spectacular Pacific Ocean-side setting, for a three-night stay. Discover Vancouver on today’s optional guided city tour. See restored Gastown, colourful Chinatown and beautiful Stanley Park, then cross over the Lion’s Gate Bridge into ‘North Van’ and brave the famous Capilano Suspension Bridge over a vertiginous gorge. Afterwards, explore at your leisure. Spend today exploring Vancouver, or join our optional full-day excursion to beautiful Vancouver Island, and to the unashamedly ‘British’ capital of British Columbia – Victoria. See the vast Parliament Buildings and the grand Empress Hotel, and visit the world-famous Butchart Gardens, a 50-acre horticultural Mecca on the edge of the Pacific. You’re free this morning to do some last-minute shopping and sightseeing in Vancouver, before we head to the airport for you to board the overnight flight home.